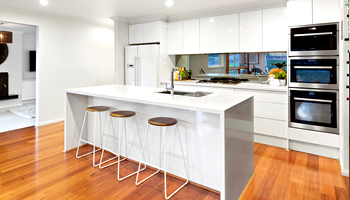 A beautiful new kitchen in just 1 day? - yes please! 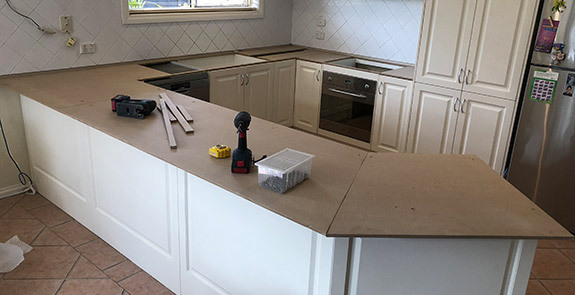 Are you in need of a makeover for your kitchen benchtop? 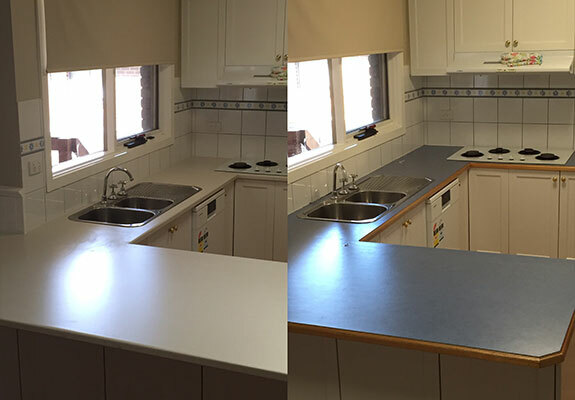 We can help you transform the look and style of your kitchen by changing just your benchtops. 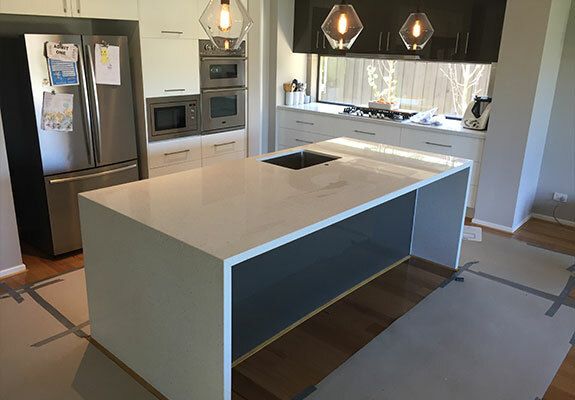 At Just Benchtops we have a wide range of engineered stone kitchen benchtop design options available for you to choose from. 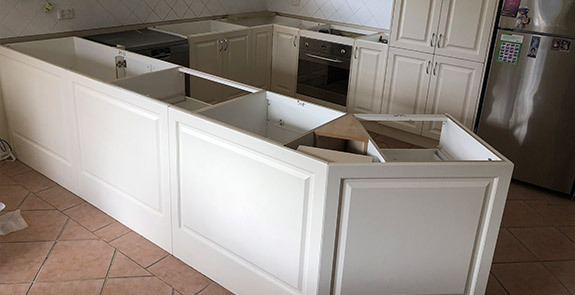 Our expert team can also make suggestions on how to best use the space available in your kitchen to help give you 100% satisfaction. 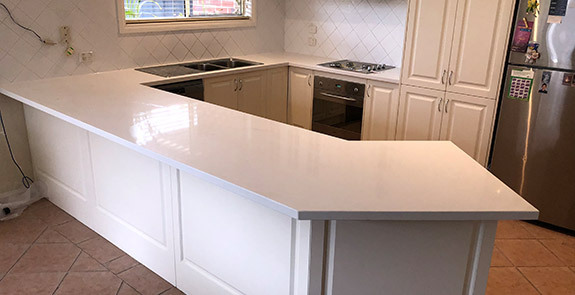 Laminate benchtops provide an affordable way to breathe new life into your kitchen. 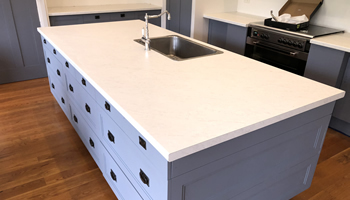 With an unlimited number of textures, colours and finishes laminate benchtops can let your imagination run wild and get more bang for your buck! 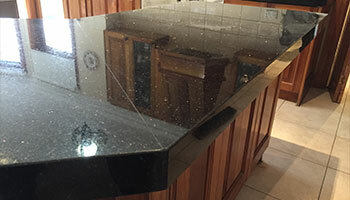 Granite benchtops are undoubtedly one of the most popular choices of stone type used in kitchen benchtop applications. 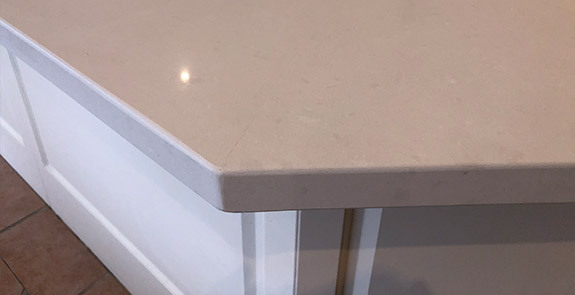 It is a light-coloured, plutonic rock commonly found in mountainous areas and offers a natural stone surface in your kitchen. 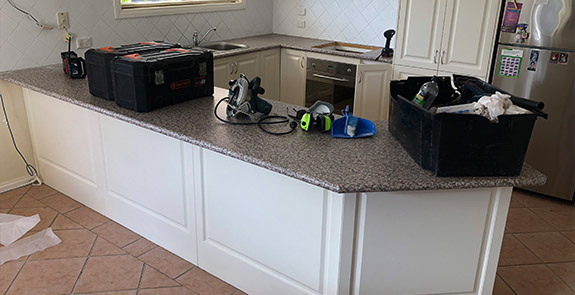 We then give you an estimate of the turnaround time and send our team in to remove your old benchtop.